Advice for parents: Believe me, I love kids. And frankly, I rarely go anywhere without mine. But there’s no doubt that a little extra planning just might make for a relaxing and pleasant trip. 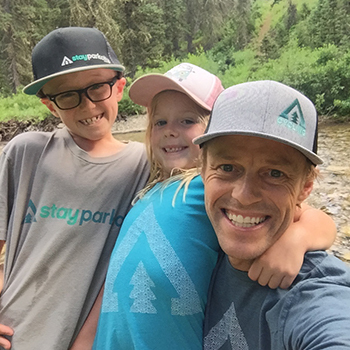 Park City has a wide variety of condo-hotels, condos, and vacation home rentals which are perfect for keeping the kid bedrooms close, but not too close. Several condo-hotel options have pools and other amenities. Plus, most come with full kitchens, so you can stock up on basic snacks, fruit, breakfast, or sandwich fixins. Some of our favorite condo-hotel properties for families are the Grand Summit Lodge, Silver King, Sundial, and Silver Baron. Since condo units are mostly individually owned, you can’t usually check out the exact dimensions and bed configurations before you buy. Be warned, because most condos are owned by individuals, you might see the Jones’ family photo hanging on the wall which can be kind of charming! A price location can really be worth the extra money when you have kids in tow. 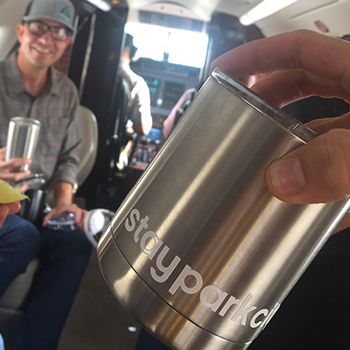 Be sure to visit or best ski-in/ski-out hotels and our best hotels on Main Street pages for details on the ins and outs of our favorites. For more information about our list of Family-Friendly Hotels visit our 10 Best Family-Friendly Hotels page. A Park City favorite is the Java Cow, aka Cows. 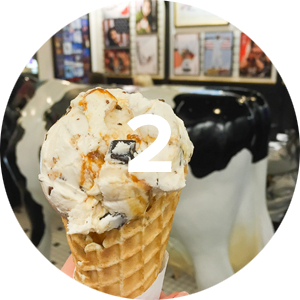 It’s a cow-themed ice cream place on historic Main Street. Kids go nuts for this place because there’s a wide variety of ice cream and they sell souvenirs with cows on them. Silly, but a winner. They also sell coffee and delightful pastries for the parents. 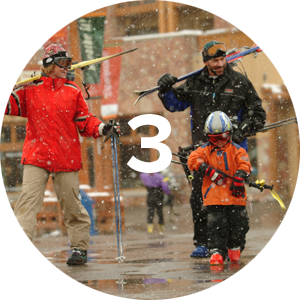 There’s nothing worse than getting kids ready for skiing. They wobble around in their ski boots all bundled up like little marshmallows. Don’t try to take your marshmallows to a rental shop to wait in line. You’ll want to quit before you even begin. 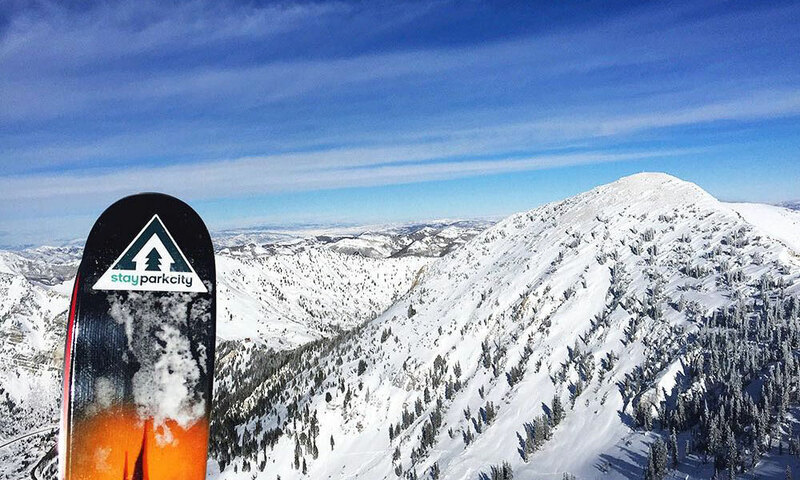 Local Tip: We recommend Skis on the Run, a local business that delivers the latest and greatest skis. Sometimes overlooked, The Utah Olympic Park is a really fun place for kids over the age of 5. Everyone will like watching the aerial freestyle skiers catch big air and land in a swimming pool. During summer months, try a variety or rides like the zip line, climbing wall, and alpine slide. The bobsled and skeleton are the most adventuresome options, 60+ mph. The ropes course has several levels so it works well for kids and adults. Oh, and if you’re into museums or info about the Olympics, there’s a free venue with great exhibits. Sure, there’s a free outdoor concert almost every night of the week during the peak of summer. Music in the mountains; what could be better than that? But many kids find the grassy knoll more attractive for running. Kids run around, as if they’d never run before. It’s a sign that we all worry too much about programming activities for our kids. All they really need is some outdoor time and a grassy field. They’ll leave a summer concert all worn out. And meanwhile, you’ll have enjoyed a glass of wine in the crisp mountain air, with a little music in the background. See our Music section for more info. The Montage does just about everything right. Even if you aren’t staying at Montage, it’s worth the trek up the mountain to visit. 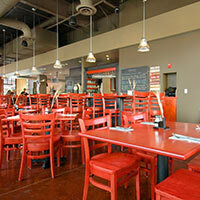 Try Daly’s Pub and Rec, a posh, yet relaxed, bowling alley and restaurant with free Wii and various games. 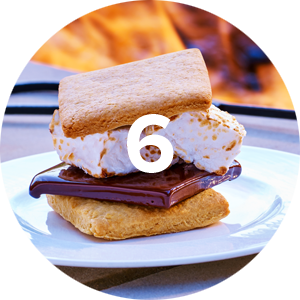 Montage is well-known for live music all times of the year, and kids will remember that you can roast marshmallows daily at 4pm. Pizza and bowling is a sure hit with the kids. 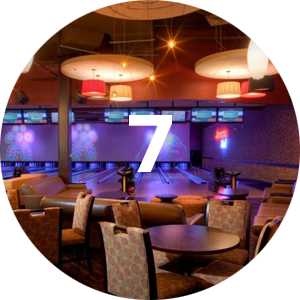 Jupiter Bowl offers a flashy bowling experience, and the food’s pretty good too. A relatively new operation, the alley has state-of-the-art technology, music, colorful lights, and even gutter bumpers for kids. Be warned, your kids will be immediately drawn to the arcade where games run a buck a piece. If you’re not careful, you’ll easily spend some big money here. There’s a trendy bar located in the middle of the alley, which is great for adults who need a little refreshment. Gorgoza is every child’s dream. 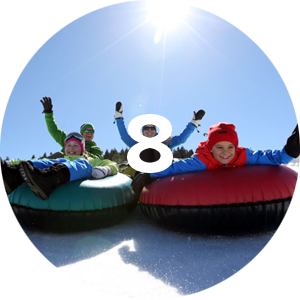 There’s lift-served snow tubing, which is fun for all family members, especially if someone in your group isn’t comfortable skiing but still wants to get out in the snow. The kids will love the mini-snowmobile track. They even have an area devoted to the really young kids, ages 1-6. 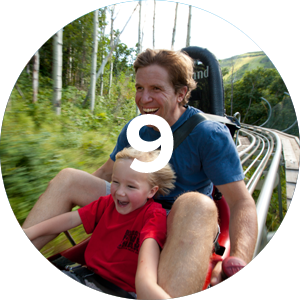 One of only a handful of such rides in the country, the Alpine Coaster at Park City Mountain base area uses the natural altitude change of the mountain to create a thrilling ride down the slopes. Strap in and hold on as your car rushes downhill, zig-zagging through the foliage as you enjoy the fresh mountain air and beautiful mountain views. Children age 3 and up can accompany an adult. Riders over 54″ tall can ride by themselves. You are on vacation. The last thing you need to do is load up the kids and run to something as mundane as a grocery store. Get them delivered instead. Sure, it costs a little extra, but time is money, and vacation time is even more precious. 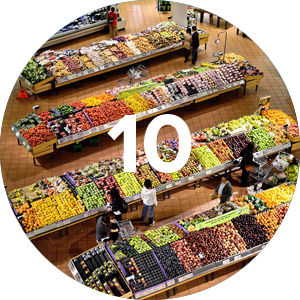 In addition to local services like Grocery Girls, some grocery stores in town, including Smiths in Kimball Junction, have their own order-ahead system for customer use. You can’t start them too young. 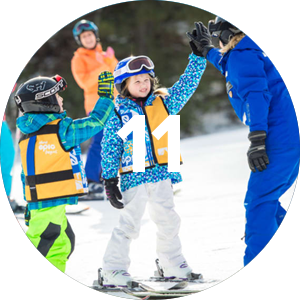 The best way to get your little ones ready to come rocketing down the slopes with you is to put them in ski school. You could probably hazard out a few lessons of your own, but the certified ski instructors found at the resorts have the skills and experience necessary to turn your children into run-ready powder hounds. Children as young as 3 can enroll for beginner classes. 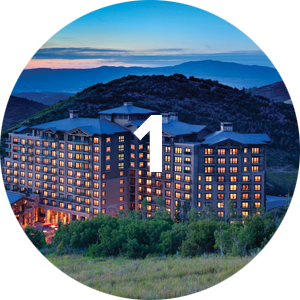 Visit Park City Mountain or Deer Valley for more info. 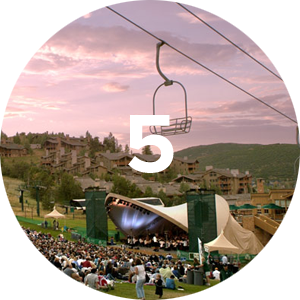 Both are fantastic, but you can’t beat Deer Valley.